Huawei MediaPad T3’s vivid display is full of colors which are going to display things in an extraordinary way which you have never experienced before in your whole life. 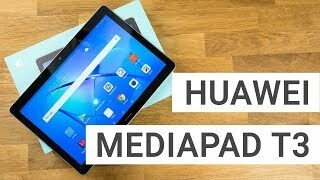 Now MediaPad T3 10 by Huawei have a screen size of 9.6 inches which is quite big if we look into the past where the display sizes have never exceed the 7.0 and now with this new Huawei MediaPad’s T3 10 you have a bigger display with the right amount of colors in it. Huawei T3 10 because this tablet has parent control option that will let you keep your child under the radar that what he is doing. Now you can adjust the light of Huawei MediaPad T3 10 while using it at night or in the day time.